If you’ve ever been intimidated by the endless options of flea markets, antique stores, thrift shops and independent vendors, authors Liz Bauwens and Alexandra Campbell have just the tricks for you. 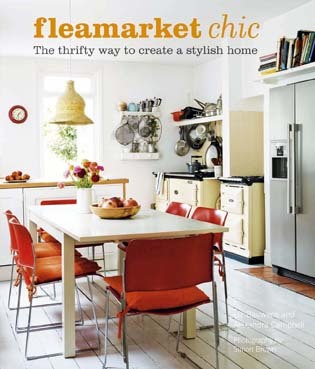 Their new book, Flea Market Chic: The Thrifty Way to Create a Stylish Home includes advice, strategy and secrets that will have you shopping with the expert eye of a professional. Then, using lush photographs of inspirations rooms, the duo shows you how to combine your finds to create fresh modern interiors bursting with personality. Photography courtesy of CICO Books. – Have a list in mind of what you really need. This focus will help you spot treasures more easily and keep you from getting overwhelmed. -Comb through the clutter and leave no article untouched. Your dream piece may be hiding under an ugly throw or in a box beneath the table. -Shop frequently—vendors have a constantly evolving inventory, the more trips you take, the more you may find. -Stay positive and be patient. When you’re flustered or stressed, you’re more likely to overlook a great find. Visit different environments for different results. -Take advantage of the rich cultural and artistic vibes of city flea markets. Keep in mind that the wares often reflect the surroundings so if you’re looking for something eclectic, exotic or more modern, you may have more luck in metropolitan centers. 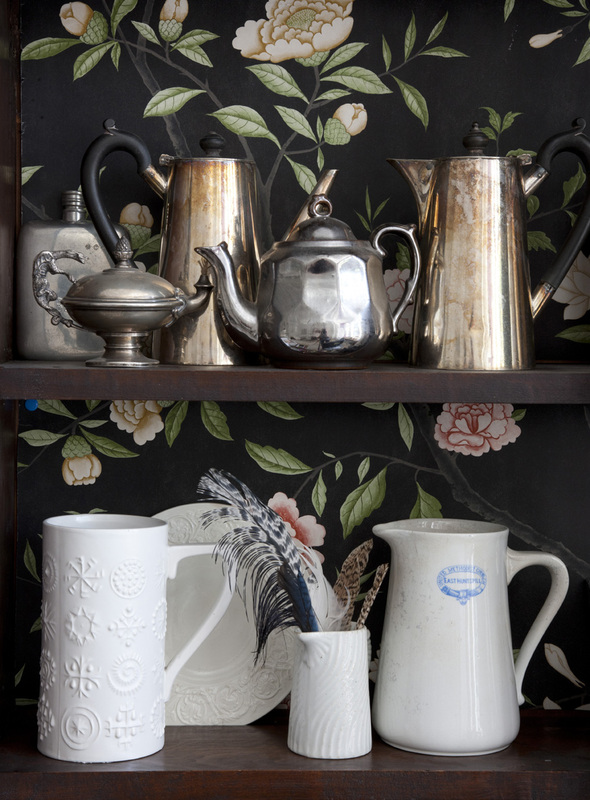 -Charity shops and local auctions are great for finding genuine antiques that add instant sophistication to your décor. -Head for countryside flea markets and barn sales for farmhouse finds and more rustic looks. -Don’t skip pieces that may be a bit worse for wear, if the shape, size and proportion are right, you can always, repaint, refinish or recover an item. -Distressed finds add cottage style like no other. 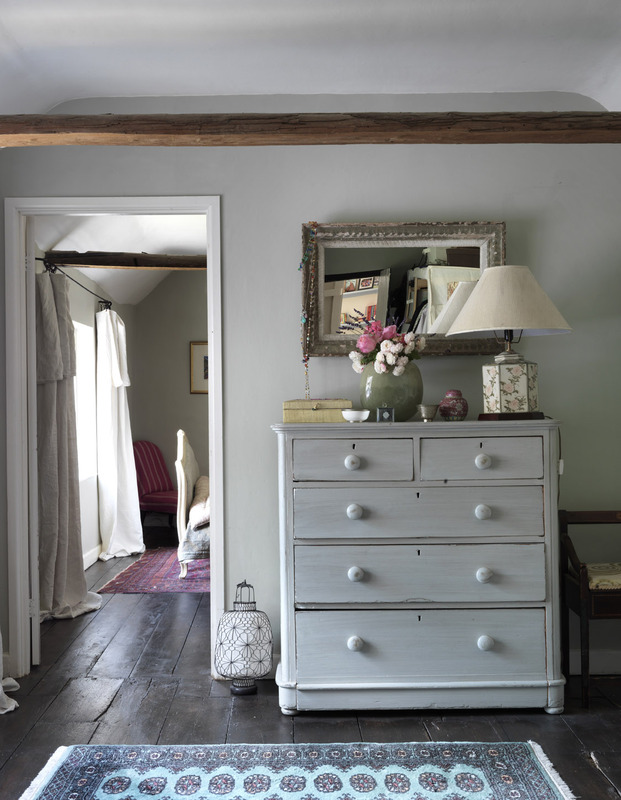 Shabby floral fabric, chippy paint and a weathered patina add warmth and dimension to your interiors. -Keep an eye out for pieces that can be repurposed. Old doors and beams make great tabletops. Crates, bins and jars can be used anywhere from floors to walls. Be creative and look at flea market items as raw materials for your DIY projects. Familiar shapes, colors or categories always look great together. Grouping like items together also makes a bigger visual impact and looks less cluttered than items scattered throughout the room. Combine textures and finishes for a more modern look. The occasional pop of linoleum or vinyl to your all-wood décor adds textural contrast, which channels a very contemporary vibe. Keep it light and effortless. Edit your accessories down to just a few simple but interesting items. Fewer focal pieces also make a softer more subtle statement. Don’t clutter rooms with too many surfaces. Select a few freestanding dressers and armoires as display cases. Open shelving is another great way to display your finds and keep the room airy and open. From a bright accent color to an item from a contrasting era, try out something fun and playful with your décor. It adds a memorable touch giving your décor a look that’s all your own. For more flea market advice, check out Flea Market Chic: The Thrifty Way to Create a Stylish Home by Liz Bauwens and Alexandra Campbell, published by CICO Books © 2012; search amazon.com or visit cicobooks.com. This entry was posted in Decor Inspiration and tagged book review, budget, Collectibles, DÃ©cor Ideas, dÃƒÂ©cor, Displays, DIY, flea market, Flea Market DÃ©cor, shopping, style, vintage by Flea Market Decor. Bookmark the permalink.